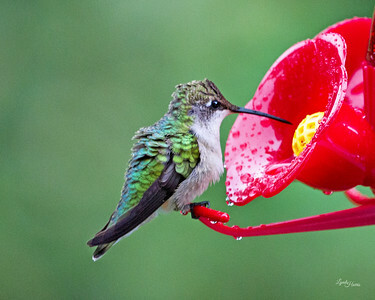 Ruby Throated Hummingbird at feeder. 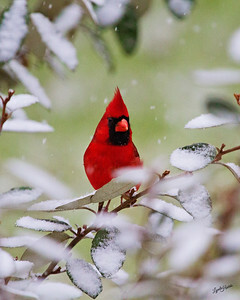 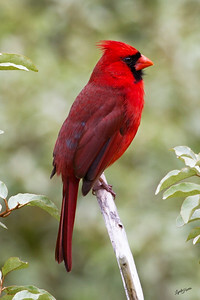 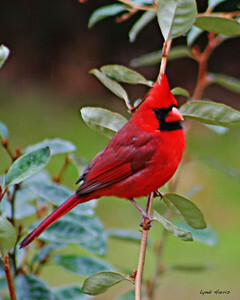 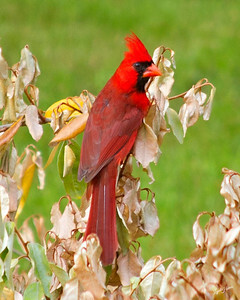 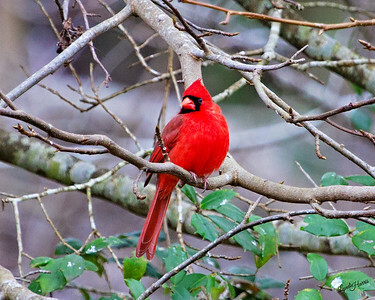 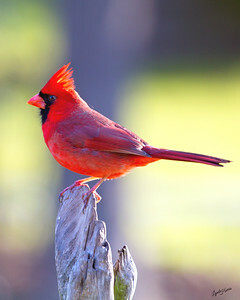 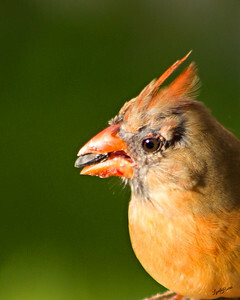 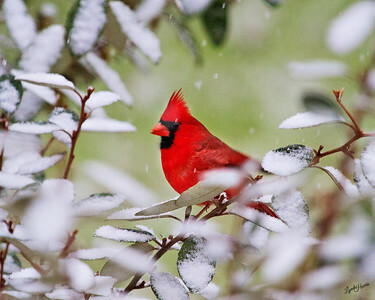 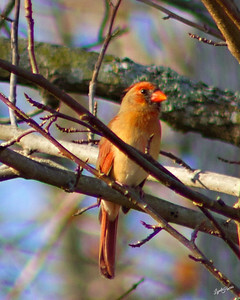 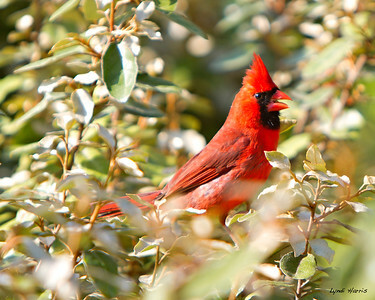 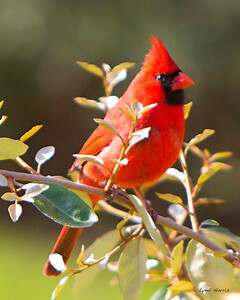 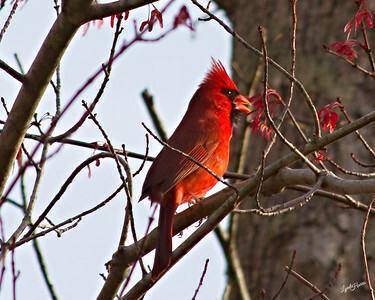 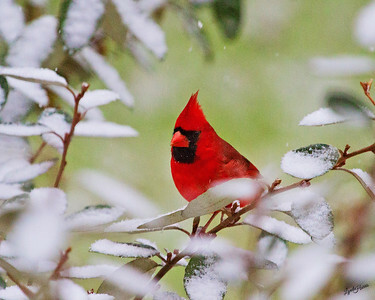 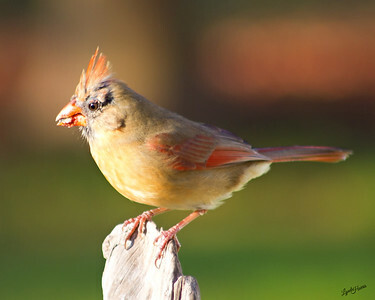 Male Cardinal fluffed up to keep warm. 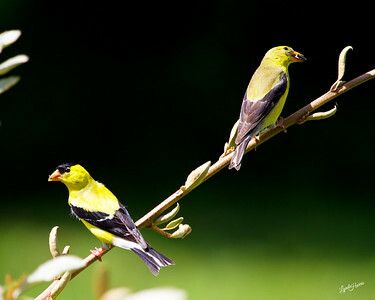 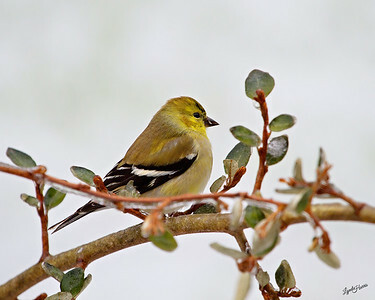 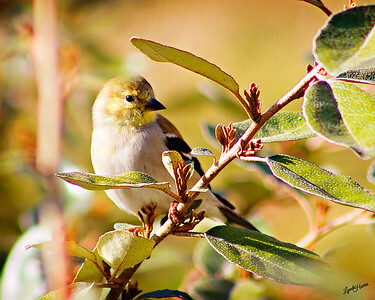 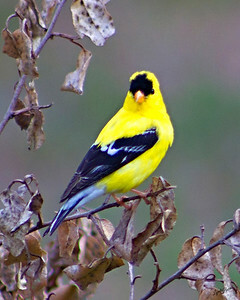 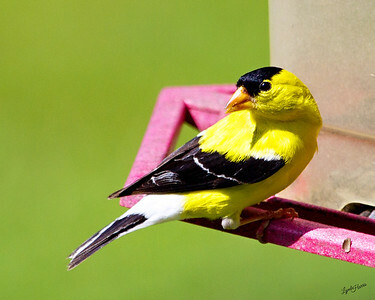 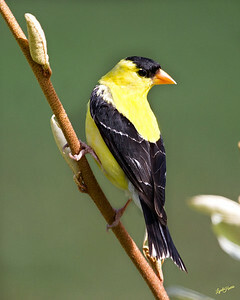 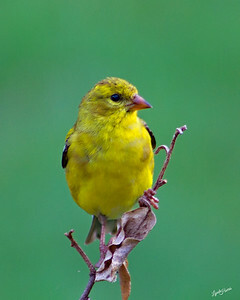 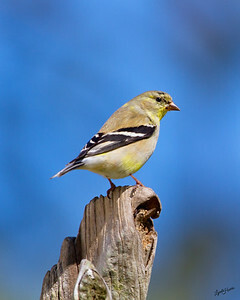 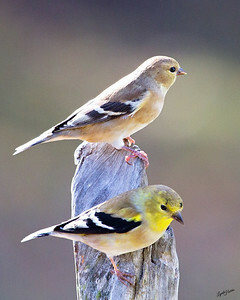 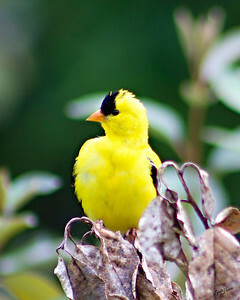 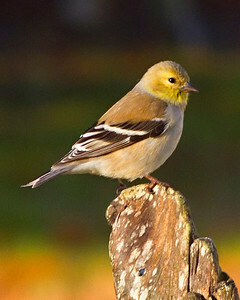 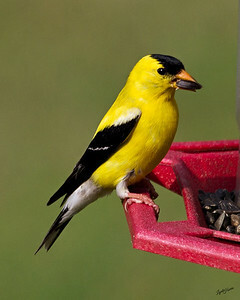 Male Goldfinch with a sunflower seed in his mouth. 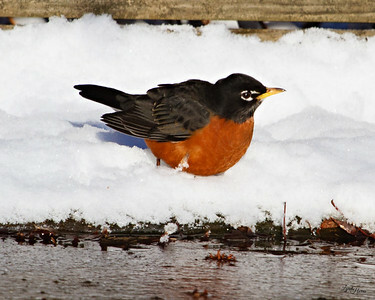 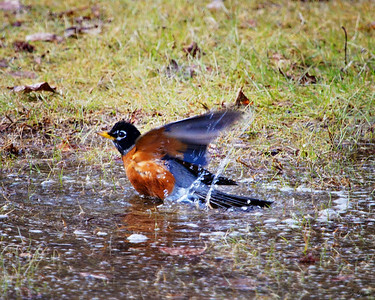 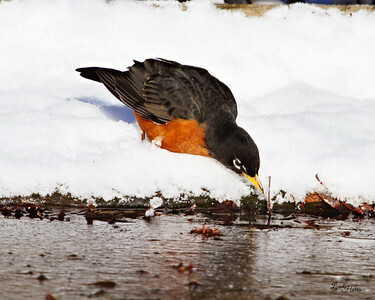 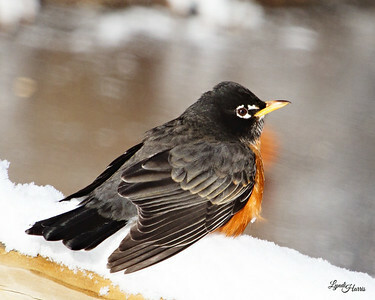 American Robin bathing in melted snow water.